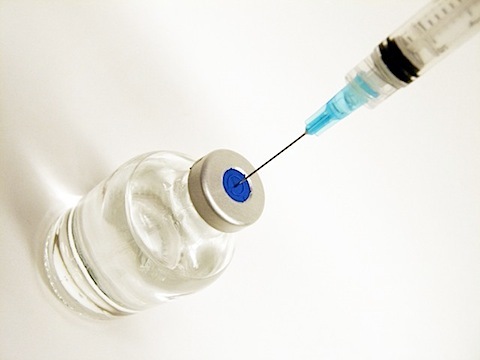 Report claimed that vaccines for infants caused death and disabilities. ISLAMABAD: Six months after the prime minister’s watchdog claimed in a report that vaccines funded by a particular programme were dangerous for infants, the premier’s office has ordered a reassessment of the report. The decision comes immediately after the contents of the report appeared in the press, pitching Prime Minister Yousaf Raza Gilani’s office against its own watchdog, the Prime Minister’s Inspection Commission (PMIC). Sources said that Gilani has asked officials concerned to review the report on monitoring of multi-billion-rupee Expanded Programme on Immunisation (EPI), launched by the Global Alliance for Vaccines and Immunisation (GAVI) to reduce infant mortality. The report said that the vaccines were causing deaths and disabilities and that GAVI, which claims to be a non-profit entity, is actually a beneficiary since vaccine manufacturers are its partners. “The prime minister has ordered to convene a meeting to reassess the report”, confirmed Gilani’s spokesperson Akram Shaheedi while talking to The Express Tribune. He added that vaccines certified by the World Health Organisation’s (WHO) are used in the programme, and therefore there is no room for substandard vaccines. Another official of the premier’s media wing said that representatives of Bill Gates Foundation, WHO, United Nations Children’s Fund, the PMIC chief Malik Amjad Noon and special assistant to the prime minister, Shahnaz Wazir Ali, would attend the meeting. Earlier on Thursday, the prime minister’s office claimed that the “PMIC’s report is not based on correct data and facts on ground as there was neither any scientific nor any technical evidence substantiating the claims in the fact-finding report.” The clarification, however, did not address other issues highlighted in the PMIC report. Meanwhile, an official at the prime minister’s office, on condition of anonymity, said there was a conflict of interest in the handling of the issue since the principal secretary to the premier has served as Secretary Health. The official from the premier’s media wing said the principal secretary had forwarded the report to the Planning Commission for comments, but the commission did not give its comments on the report. Listed below are links to blogs that reference this entry: Expanded Programme on Immunisation: PM orders review into damning report. This page contains a single entry by Toni published on November 22, 2011 9:43 AM. Like Candy? Foster Kids Get More Antipsychotics was the previous entry in this blog. 'Coke is dominating my life (Diet Coke that is)': Father admits he has a problem after downing 18 cans A DAY is the next entry in this blog.